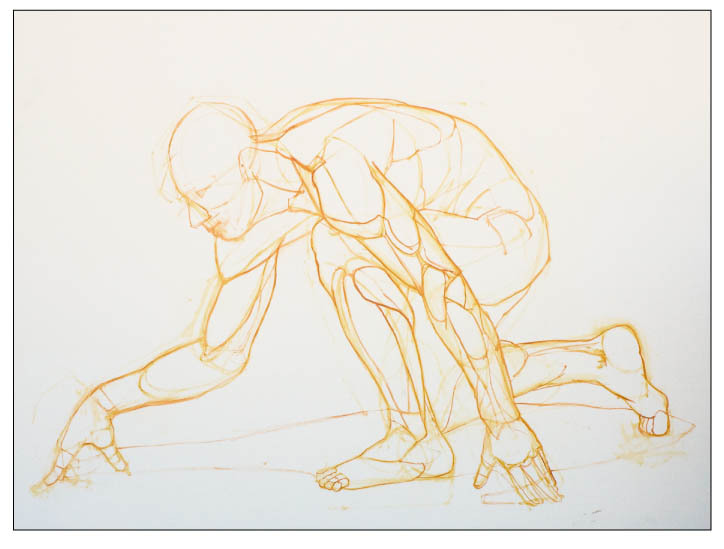 If you are looking to improve your understanding of anatomy for drawing the figure, here couple of nice resources to try. These are sites I have used and have recommended to my students. Take a look. The first one is a great place for looking at the muscular anatomy while the figure is in action or at least in different poses. This site offers well over a thousand images of figures in static poses demonstrating some sort of action. These images show the muscular anatomy on the figure that allows for you to see how the muscles might take different shape in different postions. One of the nice features is that it allows you to rotate that figure in a 360 degree view, allowing you to work out the shapes of a muscle or muscles from many different view points. 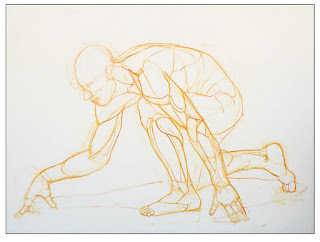 This site is a good one for learning how the anatomy all comes together. Like the site above it has a static image of a figure that you can rotate to view the muscles from any angle. The nice feature on this one is you can hide and show individual muscles to see how each muscle attaches to the skeleton or how they overlay each other. This is a great way to really see the connections and spacial relationships of the human anatomy. There are some other good sites out there that offer this type of service as well, but the advantage this one has over those is that it is free to use. Though it looks like this one is changing ownership soon and I am not sure what the new version will be like when it does. Any how, enjoy it while it still up. Thanks so much for sharing those online resources. Even a professional Perth WA painter could still learn a thing or two about anatomy drawing.